Students work independently 25- 30 hours per week. Independently means the student need to work on school content a combined time of 25-30 hours without direct instruction for a teacher. Students have a scheduled one-on-one session that is approximately 90 minute. This mentoring session is required once a week with their lead teacher. This session includes 1- 30 minute one-on-one support for academics / graduation/ Academic goal development/ or personal educational struggles, 1- 60 minute session of summative testing/ Work progress/ general assessments/ or other academic pursuits. We also have class sessions for students that need support in Math and ELA once a week for 2 hours, scheduled by the lead teacher. Science classes require the student to come in an additional one hour a week for labs. Our resource labs are open from 9AM to 1PM daily. Each student will receive a computer for school work after registration. To describe them simply, makerspaces are community centers with tools. Makerspaces combine manufacturing equipment, community, and education for the purposes of enabling our students to discover, design, prototype and create with the resources available. These spaces include Coding, Robotics, Film, Computer, Science, and project development. Simply put this space is for physical development through life-long activities. This space focuses on cardio vascular activities and light strength conditionings with resistances. This is the ASB, Yearbook, and Student Projects to support school and community development. To describe this is to look at linking students, parents, and community to content, curriculum, and learning. 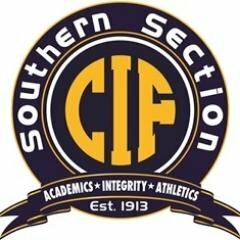 CIF does not currently allow our Students participate in other schools athletic programs. Students have to be enrolled at their home school for at least 4 classes per day.